PPC advertising is usually seen as an option that only big brands with big marketing funds should dabble into because of the cost involved in running such ads – especially when trying to bid for high ranking advertising spots. However, PPC advertising can be beneficial to small-medium sized businesses also once they are able to maximize their marketing budgets for PPC advertising. If your business needs to efficiently make use of its marketing budget to create PPC adverts, it would be very useful to contact a digital marketing agency for a more professional assistance. 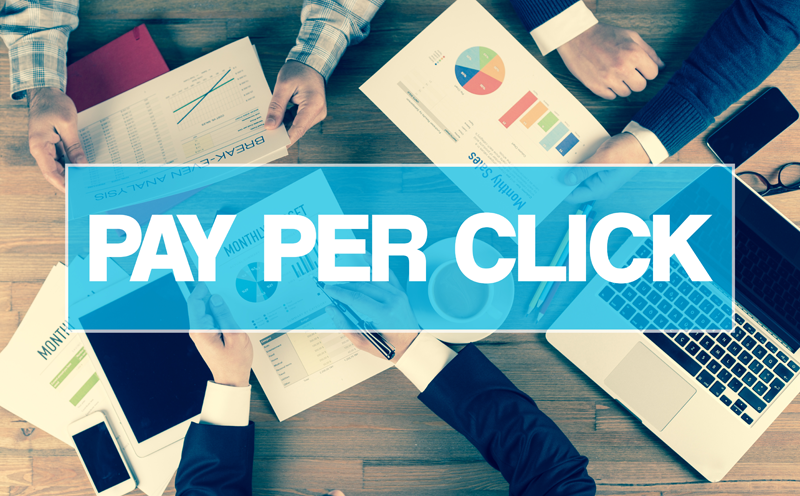 Also, consider these seven efficient ways to maximize your PPC advertising budget. This is the first and most important step that businesses must take when trying to maximize their PPC advertising budget. If you are not fully aware of who you are marketing to, how will you know what to say to them to get reasonable leads or conversions? Organizations need to go beyond using their intuition to making use of big data that will give them deeper insights into the specific demography of their target audience. With this accurate information, they can build various buyer personas for the brand and build marketing content around these personas. This will also help when researching the kind of keywords that they are likely to use when searching. It is crucial to use this information when setting up the PPC advertising campaign. If you have the best brand in the world and you are not talking about it as convincingly as possible, then no one would care to look at that brand. The reason businesses advertise is not to show people the beautiful dimensions of the product but to make them aware of the brand and get some leads or sales in the traffic process. Even if an organization has won a great advertising spot, there’s absolutely no way they can advertise effectively if they don’t have compelling copies that can work the magic. Copies used for designing visual content must be just as compelling as copies used for text adverts alone. It is still one of the simplest ways to maximize advertising budgets. Always setup the geolocation for the advert. Even though the kind of products or services a business offers can be useful to the entire world, it would be advisable to focus one PPC advert on a single location. You can create more PPC adverts for other locations in which you want to advertise. Paid search adverts and other kinds of PPC adverts work hand-in-hand with keywords just as much as organic searches do. Keywords are an essential part of PPC advertising. To carry out a successful PPC advertising campaign, businesses must first carry out proper keyword research. This enables them to understand the kind of keywords their target audience is using to search for the kind of products or services they are offering. This will guide brands on a number of keywords that will be used when setting up the PPC advert. As mentioned earlier, brands need to understand their target audience and know the right platform to reach them. Having this understanding will guide brands on how to properly optimize their adverts for mobile devices as well since there has been an increasing number of smartphone users in recent times. Bigger brands with bigger budgets can comfortably optimize for desktop but as one looking to maximize a small marketing budget, consider optimizing PPC adverts for mobile devices. This way you you can reach more people in the comfort of their mobile devices. If you are not going to be hiring an expert or a company that specializes in PPC advertising, then the next best expert you should be using is a PPC management tool. Find the best ones that will deliver on your marketing objectives. There are quite a number of these tools out there both free and paid. Be on the lookout for the ones that have free trials that you can try to see how it will work for you before going ahead to purchase the full version. Primarily what you should be looking out for is a tool that you can use across multiple platforms. This is because you might want to explore other places you want to advertise on. This will make it easy to manage all in one place. The PPC tool should be able to give you reports on all campaigns that are active and offer suggestions on ways to lower cost while maximizing your budget. You should also be able to analyze your competitors and know the kind of things they input into the settings of their PPC to know how they get the kind of results that they receive. This way you can leverage their strengths and weaknesses to improve your efforts. When bidding to rank high for an advertisement spot, the quality score is always used to determine the outcome of the auction. To get a good quality score you need to monitor both the website’s landing page and the quality of the advert. Brands have to ensure that they create a good browsing experience for their visitors. This is where landing pages will come in handy. Landing pages can be used to effectively create a lasting impression for first-time website visitors. Landing pages should be well designed for all kinds of devices (including mobile devices) as well as web browsers. Any content irrelevant to the main message that was advertised should not be on the landing page otherwise it would be confusing to visitors landing on that page from the advertised link. In addition to that, the content used for advertising should be well designed too. Brands want to ensure that the size of visual content used fits the platform advertised on and is responsive to mobile devices as well. Make use of simple texts and designs that is catchy and that people can easily remember. Be sure to use relevant keywords and titles where necessary. All of these can improve the quality score.